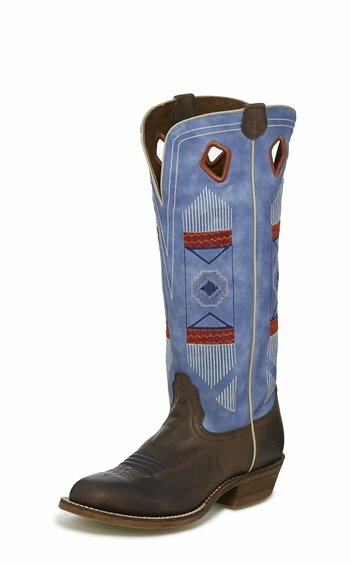 The 15" Esme Round Toe boot from the Hero collection is stitched with iconic Southwestern symbols on a vintage blue leather ground. The chocolate leather foot features traditional stitching, with an extra-wide round toe for comfort. Inside, an orthotic provides support. This boot is built with a 1 1/8" buckaroo heel with spur ledge that's ready to ride.